Aniplex USA has streamed a new trailer for Sword Art Online The Movie: Ordinal Scale. The trailer includes more fight scenes than previous trailers. It gives a sneak peek at a fight between Kirito and Eiji, the number 2 ranked player in Ordinal Scale. You can check out the trailer below. The trailer has English subtitles. 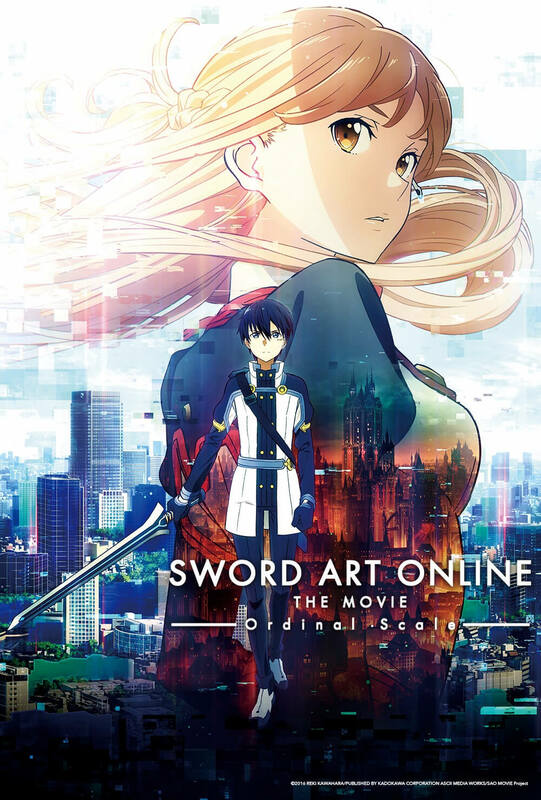 Sword Art Online The Movie: Ordinal Scale is set to release nationwide on March 9, 2017 in the US. You can purchase tickets HERE.